So it's summer here and inevitably when the warmer weather rolls around a number of Witbier's end up in my fridge. What also happens is that these beers often get left there and trumped by more interesting IPA's or Saisons; not this year! Today is Witbier Wednesday and all the Witbiers in my fridge will be gone at the end of it. Now the question that many people have been asking me; what is a Witbier? Well its a Belgian style of beer made with wheat. The Witbier is a very old style of beer; it originated about 600 years ago's. It's most recognizable feature is the Witbier yeast which imparts the characteristic spiciness. 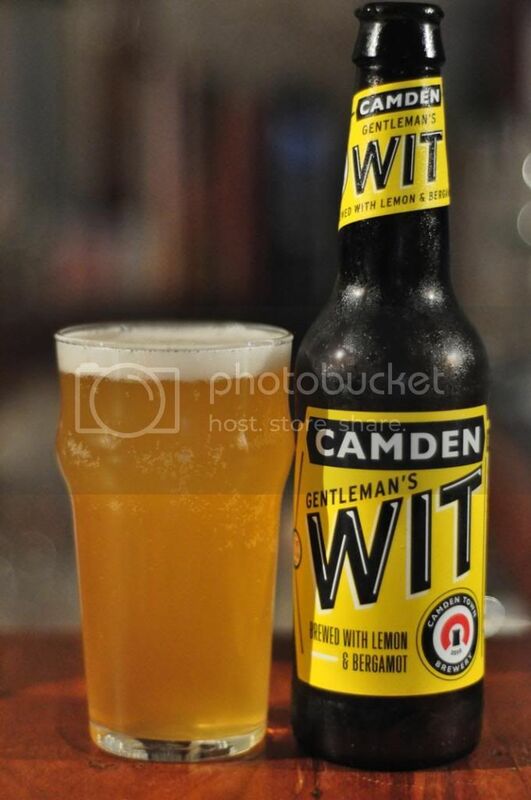 Camden Town Gentleman's Wit was the first cab off the rank on Witbier Wednesday. It comes from a really interesting English brewery that recently swapped their beers with Stone & Wood. I've tried 3 of their other beers and their GABS release and been impressed by all of them. The appearance of Gentleman's Wit was very good for the style, nice and cloudy with a slightly smaller than average white head. The aroma and taste were both dominated by citrus. There was plenty of lemon zest and orange peel as well as some spiciness coming from cloves. The bottle says it's brewed with lemon and bergamot, whatever that is, so I assume this is where the very strong citrus aroma and flavour comes from. Light banana flavour as the beer warms a little, a good start. Beer 2 on Witbier Wednesday was Feral's White. Witbier's are often referred to as white ale's and are not, as I have seen a bit recently, a separate style. 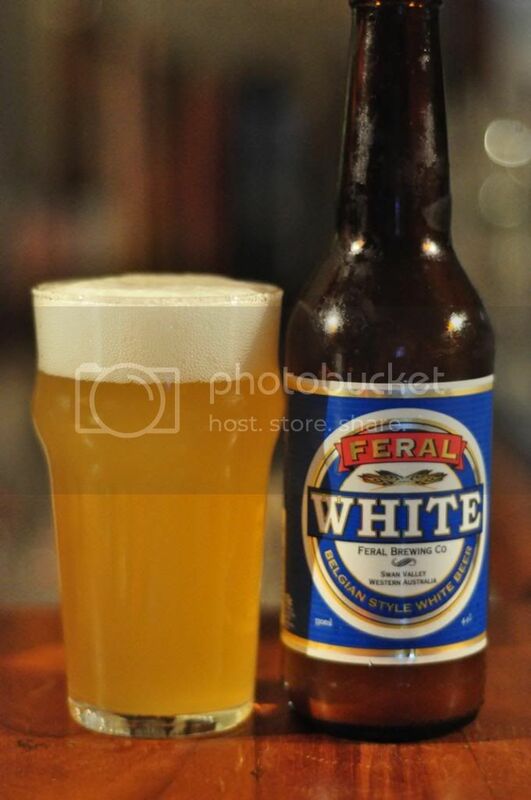 This is the first time I'm having Feral's White and I'm really looking forward to it, I love all their beers! Again excellent cloudy appearance, maybe a touch lighter than the Camden Town example with a slightly bigger head. The first of three Australian Witbier's on Witbier Wednesday had alot of similarities to the Gentleman's Wit. The biggest difference would be the huge amount of coriander flavour that becomes more and more pronounced as the beer warms. For me there might be a little too much carbonation but other than that it's a good example of the style. The thing that annoyed me most about beer 3 on Witbier Wednesday was that I couldn't find the glass. 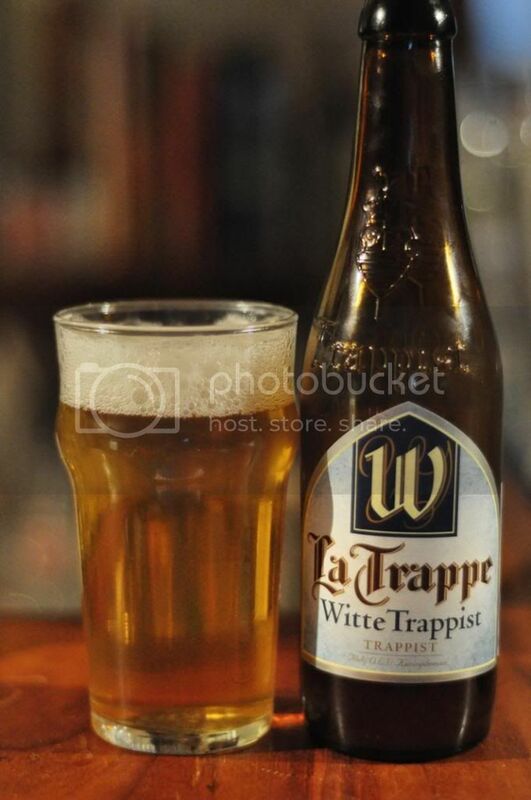 I know I have a La Trappe Witte glass floating around somewhere but I couldn't lay my hands on it. Anyway the appearance certainly isn't traditional for the style. It has a very clear body with a light, quickly diminishing head; it's more reminiscent of a lager than a Witbier. For me it didn't taste like a Witbier at all. There was more apple than banana or coriander and there's only some mild notes of pepper and orange peel. I'm quite disappointed in this beer, La Trappe have let themselves down with this beer. It tastes like it's been made with inferior ingredients and just doesn't fit the style. 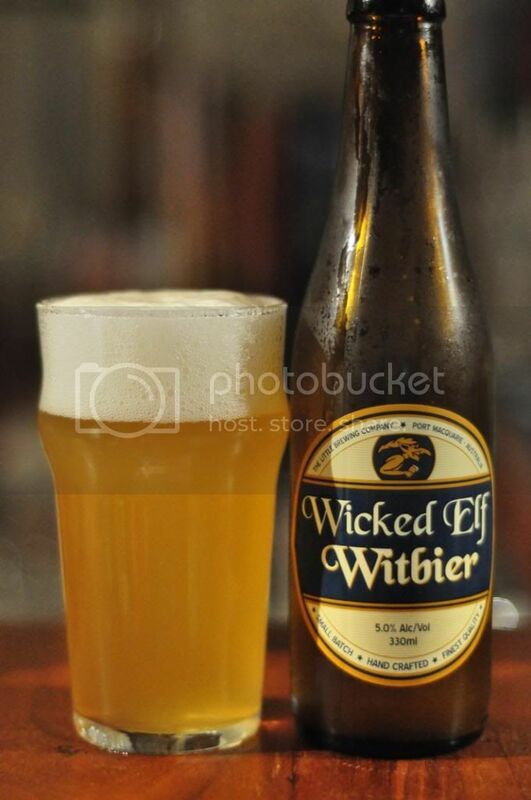 So we head back to the Australian craft scene after the disappointment that was the La Trappe Witte; Wicked Elf Witbier. This is made by the Little Brewing Company, who also brew the Mad Abbot range. I've never had this beer before and I'm looking forward to it. Huge notes of coriander and citrus zest on the nose, which is followed up by the flavour which is lovely and light. It's got a lovely dry mouthfeel, which is slightly unusual for the style but works brilliantly. It's lightly spiced as the beer warms and is a Witbier I will attempt to try again in the future. It'll be very refreshing on a hot summer's day. 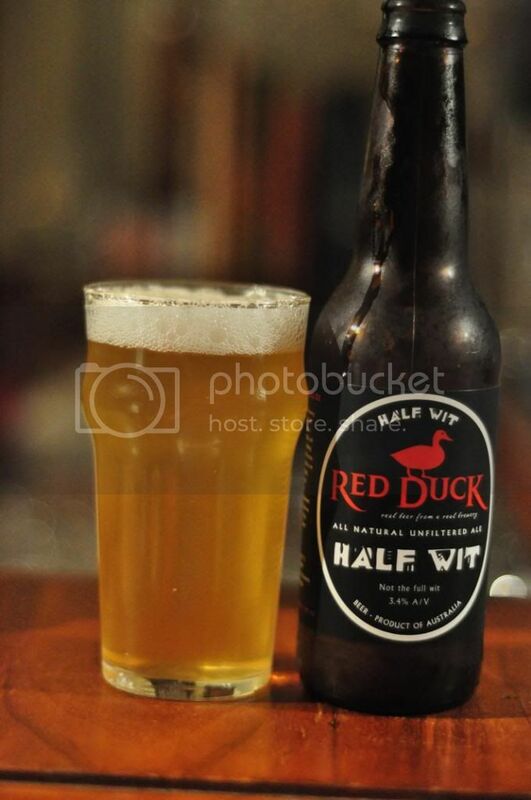 Red Duck's Half Wit was the fifth beer of Witbier Wednesday and it was about this point in the evening that the hashtag #witbierwednesday took off on Untappd. Red Duck are one of Australia's most prolific brewers and have brewed just about every style of beer you can think of. The name refers to it being a 3.8% Witbier, which should be interesting. This was a really lovely beer and you wouldn't have had a clue that it was a low(er) ABV beer. Plenty of lemon and coriander on the nose of this one and it follows through into the flavour. Half Wit is a really really easy drinking Witbier and was gone almost too quickly for me to judge it properly... Oh well, clearly that means I enjoyed it! One from left field here with the Witbier from 961 Beer out of Lebanon. I really like a couple of their beers, many of which are a bit unusual, and Mazen the brewer is a really good guy. I've been to a few things where he's talked about his beer but I've never had the Witbier. The pours quite good although I wouldn't have minded it being a little cloudier. 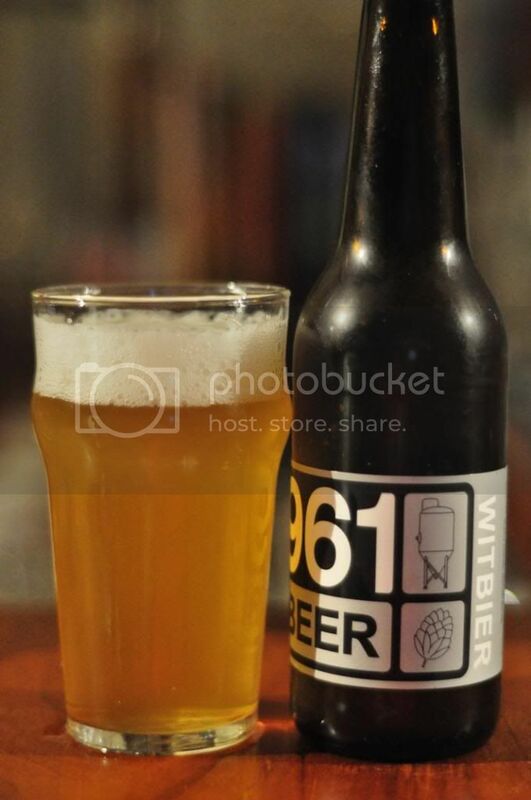 961's Witbier is brewed with all Lebanese ingredients and you can tell that it tastes a little different than the more traditional examples of the style. It's a bit more herbal than many of the previous Witbiers with coriander and orange peel being the most prominent flavours. I like it as a bit of a change up, but it's certainly not one for the purists. What sort of look at Witbier's would be complete without a Hoegaarden. This beer saved a style that was all but dead in the late 50's - early 60's. The town of Hoegaarden has been known for Witbier since the middle ages and this brewery can trace it's origins to 1445, although not in it's current form. Much like Guinness is to Porter/Stout, it's pretty much the only mass produced Witbier in the World. With all of that said, Hoegaarden has the perfect appearance for Witbier; it's the world standard. 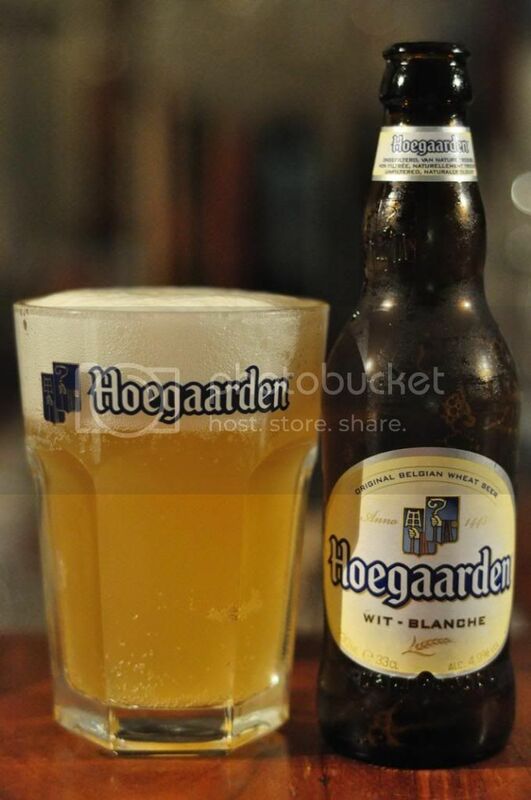 Hoegaarden has a nice cloudy appearance with a big head and the aroma and taste are legendary. Wheat, coriander, cloves and lemon zest, what more could you ask for from a Witbier? So there we have a not so quick wrap of Witbier Wednesday. It was good, made alot of space in the fridge to replace it with things I'm more likely to drink. The Witbier is a very underrated style and one that people should be more open to. Hoegaarden is one of those beers that all beer drinkers need to try at least once in their life times, and some of the Australian ones were excellent. The pick of the bunch for me was probably the Camden Town Gentleman's Wit and that is a beer that I can highly recommend!